Our guide to Portland will help you find the best kid friendly parks in Portland Oregon. What distinguishes Portland, Oregon, from the rest of America's cityscapes? Or from the rest of the world's urban destinations, for that matter? In a Northwest nutshell: everything. For some, it's the wealth of cultural offerings and never-ending culinary choices; for others, it's Portland's proximity to the ocean and mountains, or simply the beauty of having all these attributes in one place. Strolling through downtown or within one of Portland's numerous neighborhoods, there's an unmistakable vibrancy to this city -- one that is encouraged by clean air, infinite trees, and a diverse blend of historic and modern architecture. There are tons of great kid friendly parks in the city of Portland, our city guide will help you find the best kid friendly parks. You may have a hard time deciding what to do in Portland, but we make your decision easy. 10819 SW Capitol Hwy - Amenities at Holly Farm Park include picnic tables, a playground, and a skatepark. 11400 SE Stark St, (503) 256-6508 - Ventura Park's 7.25 acres feature a playground, soccer fields, public art, paved paths, and picnic areas. 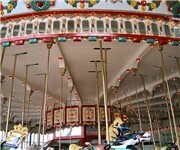 7805 Oaks Park Way - Oaks Park has been in operation for over 100 years, making it one of the oldest continuously operating amusement parks in the US. 8417 N Brandon Ave - Kenton Park includes a playground, softball and soccer fields, basketball courts, and picnic areas. N Newman Ave & N Trenton St - McCoy Park features a basketball court, playground, paved paths, public art, and a wading pool. 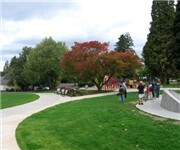 N Williams Ave & N Stanton St, (503) 287-4742 - Dawson Park's 2.05 acres include basketball and volleyball courts, a picnic area, a stage, statues and other public art. 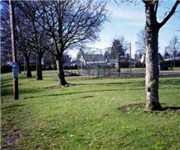 NE 33rd Ave & NE Skidmore St - Portland's Wilshire Park features a picnic area, an off-leash area, a horseshoe pit, walking paths, sports fields, and a wading pool. NE Fremont St & NE 7th Ave, (503) 823-2223 - Sports fields, a horseshoe pit, reservable picnic facilities, a playground, and more all make Irving Park a great family destination. NW 19th Ave & NW Glisan St, (503) 239-5144 - Couch Park features a playground, basketball court, dog off-leash area, paved paths, on-site art, and WiFi. SW 12th Ave & Falcon St - Burlingame Park is a kid friendly park located in Portland OR. 5151 NW Cornell Rd, (503) 292-0304 - Audobon Society Care Center is a kid friendly arboretum / garden located in Portland OR. 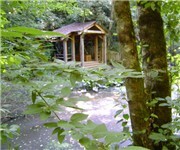 6704 SE 122nd Ave, (503) 823-9503 - Leach Botanical Garden is a kid friendly arboretum / garden located in Portland OR. 700 N Rosa Parks Way, (503) 823-3620 - Peninsula Park & Rose Garden is a kid friendly arboretum / garden located in Portland OR. 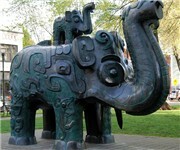 NW 3rd Ave & NW Everett St, (503) 228-8131 - Chinese Garden is a kid friendly arboretum / garden located in Portland OR. There are plenty more kid friendly parks in Portland. 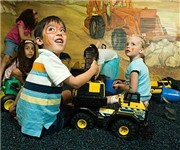 See all kid friendly parks in Portland Oregon.